Perceptions about online degrees have evolved as the industry has matured. You may be wondering, “are online degrees respected by employers?” In simple terms, yes. In today’s climate, students can pursue an online degree in confidence. However, not all online programs are equal. It’s important to understand the dynamics that impact quality and employer sentiment regarding online programs. In most cases, employers tend to think positively or are at least neutral when it comes to online degrees. What’s more, the quality of the institution and accreditation status can further the extent to which employers respond positively to an online education. In practice, online degrees have reached such parity with on-campus options that many institutions offering both program types don’t differentiate between online and traditional studies on the diploma; they are treated as equal. In the early days of distance learning courses and for-profit online education, the sector was often regarded as an afterthought. Even if the courses were great, the reputation wasn’t. An Online Education report likened the situation to online dating. Initially, online dating was met with significant negative perception and many considered the practice to be problematic. Over time, dating services became more formalized and sophisticated. More couples who met online ended up in successful relationships and public perception changed. This same sort of transition is happening in online education. As more students graduate with the skills needed to contribute positively to the workforce, employers are becoming more open to considering candidates who completed online programs. It also helps that more prestigious institutions are now offering online courses. The Online Education report explained that public institutions increasingly offer online courses, and it’s common for graduate students to be taking at least one course online. Online learning is emerging as a mainstream method in academia. As this maturation has taken place, public perception has shifted. Today’s world is largely built around digital technologies. Everything from how we shop to how we learn is being adjusted for better digital experiences. Convenience and user control are key in these setups, and academia is paying attention. Online degree programs, such as the Regis College Master of Social Work, provide a blend of accessibility and quality that makes them attractive to professionals. However, the shift toward digital experiences has happened gradually in society, and higher education has had a fairly slow transition. Here’s a look at how this evolution has come about. Online higher education programs were initially dominated by for-profit institutions and there were some public hiccups along the way. Specifically, there were concerns that some institutions were acting as degree mills and not providing a positive educational experience. This wasn’t all institutions, of course, as many online programs were rigorous and effective. However, many employers saw the scandal and considered the relative youth of the online learning sector and were suspicious of online degrees. In 2006, The New York Times published a report on this situation, highlighting that only the most progressive employers were particularly accepting of online degrees. Pointing to a study published in the journal Community Education, 96 percent of employers involved in a poll of more than 270 small and mid-sized businesses said they would choose a candidate with a traditional education over somebody with a comparable online degree. Perception at the time was that online education could be a supplement to documented experience in an industry, but it wouldn’t stand out in its own right. This situation has changed, as ongoing acceptance has been met by widespread regard for online degrees as comparable to traditional education options. In the early 2000s, the federal government and various education-industry stakeholders started to get more involved in online education. More prestigious universities began experimenting with programs and finding success, and online programs started to shake their negative public perception. By 2010, employers had caught on to the trend. Approximately 55 percent of respondents polled by the Society for Human Resource Management said that, job experience being equal, whether somebody obtained their degree online or in a traditional program wouldn’t impact their perception of the applicant’s qualifications. The study went on to ask what educational factor would be a difference-maker in choosing one candidate over an equally qualified candidate. Approximately 46 percent of those surveyed said having a degree from a traditional, accredited program would tip the scales. Based on this data, it seems that as recently as in 2010, many employers were considering online degrees as relatively equal to traditional degrees. What do employers think today? Getting up-to-the-minute results is impossible, of course, as studies take time to perform and publish, but a large-scale 2017 study from Management Recruiters International found that 51 percent of recruiters and 44 percent of employers have no preference between traditional and alternative degree programs. Recruiters didn’t prefer candidates with alternative degrees, but 13 percent of employers said they did. While these figures may not seem overly promising, there’s a key distinguishing point to keep in mind: There seems to be a vast difference in perception of online degrees depending on the quality of the program itself. For example, in the study, “Does Online Education Live Up to Its Promise? 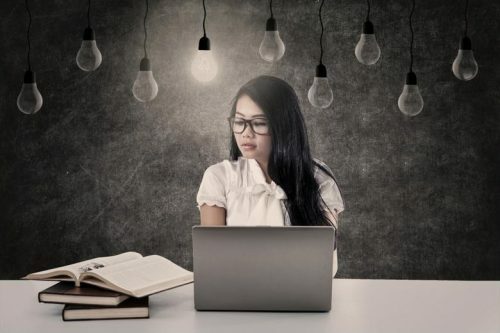 A Look at The Evidence and Implications for Federal Policy,” researchers found that lingering negative perception of online learning can be combated by programs that are highly interactive in nature. Courses that are designed to use online learning to improve student experiences and offer easier interaction between faculty and students are leading to positive results. This is one area where online programs from traditional colleges and universities can really stand out. These institutions can replicate the key elements of their on-campus opportunities online, positioning students for positive outcomes. What’s more, the degree itself is backed by the reputation of the established university and does not differentiate between whether the program was completed online or on-campus. Ultimately, the key issue may not be whether the degree was completed on-campus or online, but instead about the quality of the institution and thoroughness of the program. Degree status: Many institutions don’t differentiate between online and traditional programs on a diploma. That’s a good trait to look for. Student services: Chances are, if a college or university offers quality support services online, it’s also looking to drive student success. Accreditation: This may be the most important one, especially for an MSW. Accreditation status is highly influential in the sector. Interested in talking to somebody about what an online MSW program can offer? We’d love to chat. Contact Regis College today to explore our online MSW program. What is accreditation, and why does it matter for you?